An improved housing market is one of the first indicators of confidence in the economy and 2018 will see slow, steady, grinding improvement. 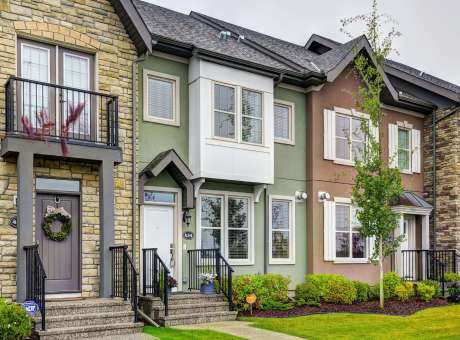 The economy started to climb out of the hole, reflected in successful spring resale home sales that extended into the fall (November sales were 15 per cent higher than a year ago). Detached homes are selling — though inventory levels of condos remain high — with rebounding oil prices helping potential buyers feel more secure in their jobs. While new mortgage rules and rising interest rates may impact some housing decisions, job growth and population growth will drive steady housing demand. With multi-family housing inventories remaining high— particularly in apartment condos — that sector will see a decrease in starts next year. Between 6,700-7,300 multi-family units will have been started by year-end (compared to 5,756 in 2016), and we can expect a cooling to a maximum of 6,500 units in 2018. There is not a lot of light on the horizon. We think it will be another year or more (before there is some recovery in the rental market).